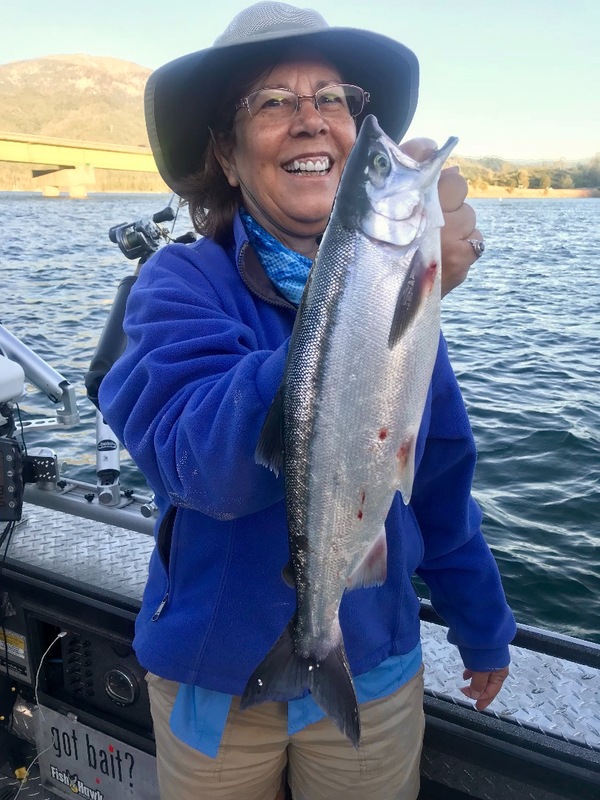 Steady trout bite holds up on Shasta! Today we fished Shasta Lake and were targeting rainbow and brown trout. The day started off with surging rods and ended that way too. We had a few lulls tin the bite hroughout the afternoon, but we had limits of beautiful rainbows and a brown trout fairly early in the day. The guys had a great time fighting fish and went home with about 15 lbs of trout fillets. 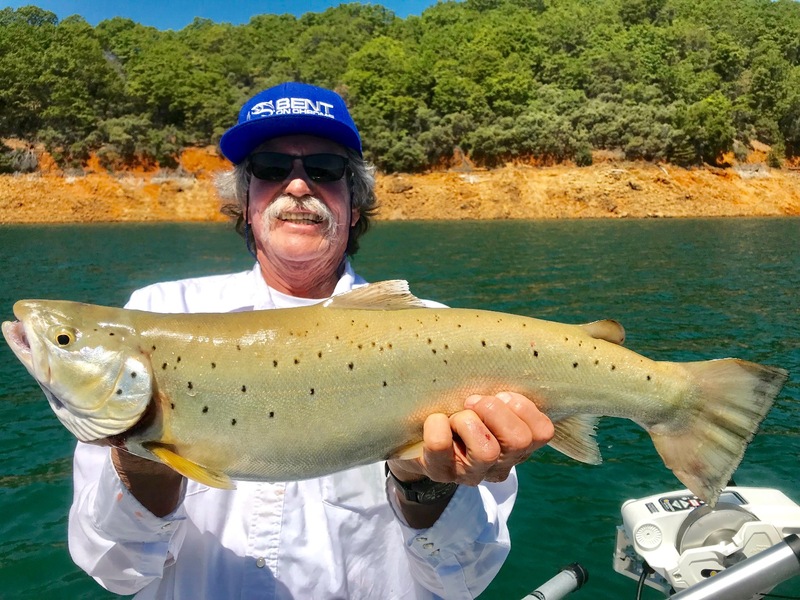 If you would like to experience the excellent summer trout fishing on Shasta Lake be sure to give me a call or send me a contact message on my website at jeffgoodwinfishing.com. Quality over quantity at Whiskeytown Lake. Big moon and big sun on Shasta Lake today!